You’ll notice I dropped the roman numerals in the post titles: anything over III is just pretentious. One of the many important life lessons Final Fantasy has taught us. Klamp’s line here is something like “You know nothing about the mitochondria’s true nature…DO YOU?” That’s cool, right? It’s not just me? is diligently typing away and seems content to ignore them, until the pair force the issue. More subtly, Klamp does a double-take when he sees Aya as well. educated people tend to show towards people whom they consider simple. Most hide it, Klamp is just too much of a misanthrope to care. Like quite a few things in PE, it’s disturbingly true to life. 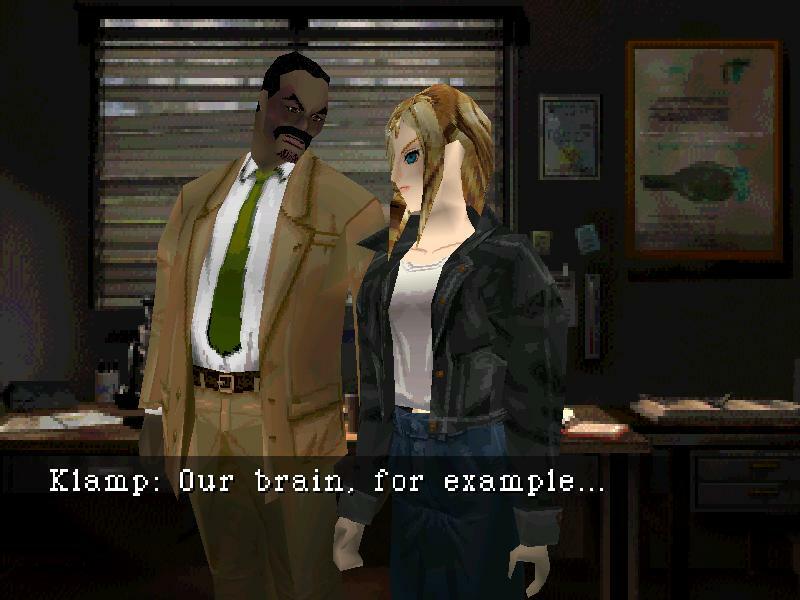 I have so much love for this scene I almost posted a full transcript, except I couldn’t find a script FAQ anywhere that had all of the text. It’s scary when the internet fails like that. tend to fall apart during the funding stage. 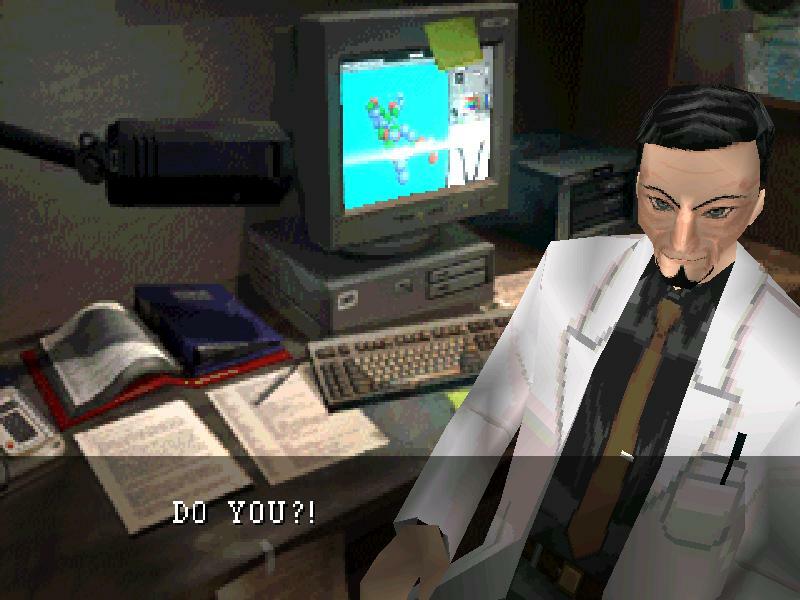 reckon that they will regret not shooting him and hiding his body when they had the chance: If video games have taught me anything, it’s that all scientists should be shot on sight. I confess, I couldn’t find a screenshot to go here, but these entries look so much better if I break them up with pictures! So I drew one in MS Paint. 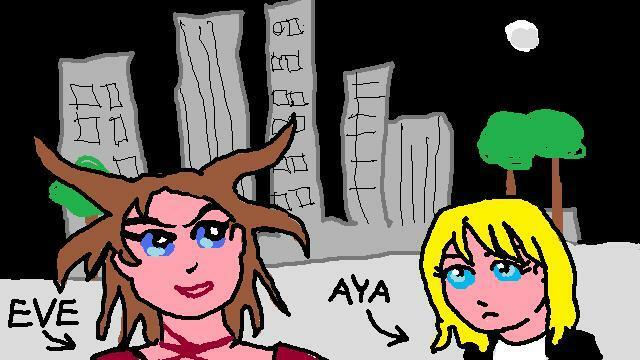 Paint Aya looks unhappy. name and the hellish Carnegie Hall incident. It wouldn’t have been in the newspapers since Aya didn’t tell anyone that Melissa WAS Eve until the press conference, and a lot of people weren’t online much at that time. Isn’t it strange that 1998 wasn’t that long ago? to Central Park. We even get a nifty FMV of Daniel driving like a lunatic. This may be because I happen to have lived within a short train ride of NYC for my whole life, but just the thought of that crowded place being devoid of people is scary. It’s just wrong on some primal level I can’t explain. 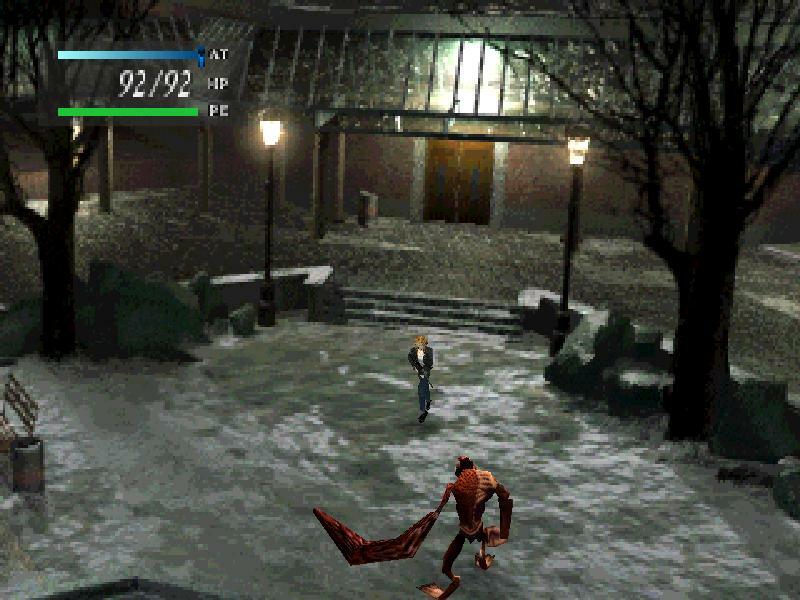 I used to think this part of the game looked NOTHING like the real Central Park, but I was wrong: It looks ALMOST nothing like the real Central Park. even though I know exactly where it is. all as one entry, but with the amount of story in this section that wasn’t a great idea. out. It’s about time, really. 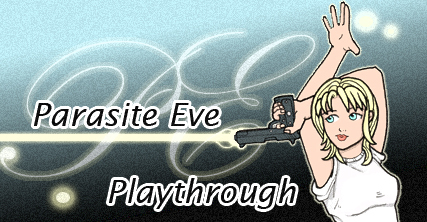 Previous PostParasite Eve Playthrough Part IIINext PostSo, Whatever Happened to Those Comics?